BBC NEWS | UK | England | London | Are tower blocks a fire hazard? The death of six people in a fire in a south London tower block has highlighted the difficulties firefighters face in tall buildings. So is the high-life inherently more risky than living in a traditional home? What, if anything, can be done to negate the dangers? When "streets in the sky" began sprouting across the country in the 1950s they were hailed as the future. But within 20 years the vision soured, as poor planning led to crime and the deterioration of communities. Now the death of six people in the 12-storey Lakanal House in Camberwell has raised another question of design: whether living in a tower block puts you at greater risk from fire. 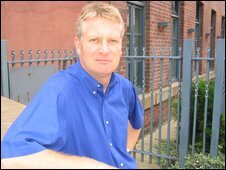 Nick Troth is a director of Arup, an engineering company specialising in fire safety. He said: "The higher you go the harder it is to escape during a fire. "It is also harder for firefighters because their equipment doesn't reach. "Firefighters have difficulty getting to anyone trapped above 30 metres (98ft) high." 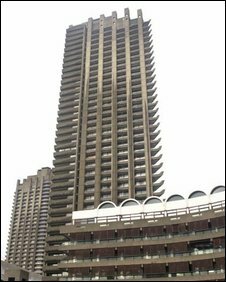 At 125 metres (410ft), the Barbican's Shakespeare Tower - London's tallest residential block - is four times that height. But the risks extend to more than sheer size. "It comes down to the human factor," said Mr Troth. "With a greater number of neighbours under one roof you can't control whether someone living four floors beneath you is minimising their risk." So while you can prevent cigarettes igniting waste paper bins in your own house, the careful householder is powerless in a building where 100 families live. And the risk is compounded by the social blend of people living in most tower blocks, who Mr Troth says are statistically more prone to leaving their homes at risk. "Many people who can't afford electricity heat their homes with naked flames, which are more dangerous," said Mr Troth. "They might also have old furnishings which are not up to modern safety standards." Furthermore the smoking charity Ash says people from the lowest social-demographic groups are twice as likely to smoke as those from the other end of the spectrum. Carelessly-disposed cigarette ends are the most common cause of domestic fires. But the good news for tower-dwellers is that, if well-built and managed, fire risk can be negated. Architect Harley Sherlock MBE, who has built two tower blocks, said: "Tower blocks were built with fire in mind. "They are usually not made from flammable materials. Floors dividing flats are concrete and staircases are built on the outside with loads of windows." Professor Stephen Gage, of The Bartlett architecture faculty, said when most tower blocks were built in the 1960s memories of the Blitz were still fresh in people's minds and "they certainly knew about fire". The UK's tower blocks - especially London's - are built to the world's highest safety standards, Mr Troth said. He added: "London has always taken fire seriously - it goes back to the Great Fire of London and the knowledge of what fire can do in a metropolis. 1999 - One resident dies after a 14-storey block in Ayrshire goes up "like a match". "Fire regulations in London are over and above those even in other UK cities." Currently any new residential building 30m tall or more must be built with a sprinkler system. The higher a building is above that, the stricter the rules. But the new regulations only came into force in 2006 - and were not retroactive. 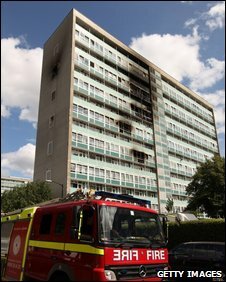 It is not clear how many of London's 2,700 tower blocks, almost all built before 2006, have sprinkler systems or internal single staircases such as that being blamed for deaths in Friday's fire. Fire historian Bob Wilkinson said of the Camberwell blaze: "I have never seen anything like it - and I was a London firefighter for 20 years. "The only example is the Ronan Point incident [when four died in an east London tower collapse in 1968] - but that was a gas explosion. "It's very rare for fire to spread like that. Towers are built and designed to be safe."